​At an early age, Randall felt the need to use art as a tool to interpret the world, as he knew it. With a gift of natural ability, he was tutored by local talent and continued to study throughout his life in workshops, museums, studios, and "en plein air" alongside his award-winning peers. Today, he has a successful career bringing his vision to others through his paintings. Steve Marshall is a Tokyo-based magician, clown, writer and artist who performs in English and Japanese. In 1983 Marshall attended the Ringling Bros. and Barnum & Bailey Clown College in Venice Florida. Upon graduation he was one of only eleven students to receive a performing contract to tour with The Greatest Show on Earth. 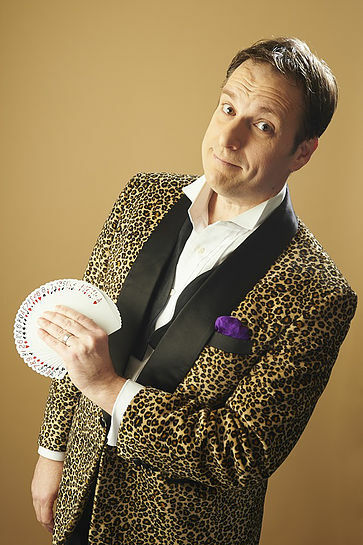 Steve has performed for couples at restaurant tables in the Broadway district of New York City, guests at the White House in Washington, D.C., guests at Disney World and Universal Studios, night clubs, cruise ships and for an estimated audience of one hundred million people on a TV show in China. In addition, he has been a regular on several Japanese TV shows, performed in commercials for IKEA, and was the character on all the packaging for McDonald’s Tokyo for a couple of years. In addition to performing he had a regular column for 10 years in M-U-M magazine, the official publication for the Society of American Magicians. Steve’s award winning column featured interviews and original magic from magicians around Asia, and was recognized as an important bridge between magicians in the East and the West. While grounded in traditional calligraphy, it is the expressive aspect of it that most interests her. She explores lettering by altering line and form and stretching boundaries of conventional calligraphy. Her art emerges from Zen aesthetic ideals. Ewing values simplicity in calligraphy, in nature, and in living spaces. Her work has been published in Letter Arts Review, recognized by the Smithsonian Institution, and accepted into juried exhibitions, nationally and internationally. Working from her studio in Grand Haven, Michigan, she is dedicated to building an awareness of calligraphy as fine art and presenting it with reverence. 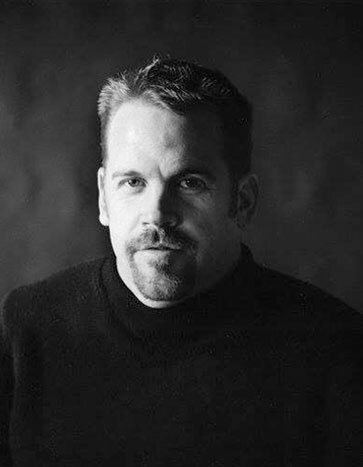 ​A nationally exhibited visual artist with a broad range of interests, Jim Cogswell is Arthur J. Thurnau Professor in the Stamps School of Art & Design at the University of Michigan. While primarily a painter, his studio practice includes sculpture and ceramic tile, video animation, stage design, multi-media installation, and publicly sited murals using materials as diverse as rubber stamps, adhesive shelf paper, and machine-cut vinyl. In his work he has collaborated with poets, dancers, musicians, composers, a biostatistician, a historian and anthropologist, astronomers, cosmologists, and with space science, computer science, and mechanical engineers. Public art projects located in Ann Arbor include Enchanted Beanstalk (2011), a vinyl window installation covering eight floors of the Mott Children’s Hospital, and Meanwhile O Reader (2008), a mural painting commissioned for the Washtenaw Community College Bailey Library. He is currently preparing a vinyl window installation for the University of Michigan Museum of Art and the Kelsey Museum of Archaeology, based on objects in their collections (2017). A number of other publicly sited works can be found around the University of Michigan campus. A fine art painter, David is American impressionist, known for his landscapes, still lifes and seascapes. As an Indiana artist who includes familiar Midwestern, New England and Southeastern scenes and subjects among his work, he is recognized for his loose, fluid style of painting. He is a resident of Indianapolis, Indiana. David has had numerous one-man shows, including The Richmond Art Museum, the Fort Wayne Museum of Art, The Palette & Chisel Academy of Fine Art, and the Indianapolis Museum of Art’s In Indiana Gallery, among others. In 2001 one of his Indiana landscapes was chosen as the winner of the state’s license plate design contest and in 2006, Gov. Mitch Daniels selected 23 of David’s paintings for gifts on Daniels’ trade mission to Japan and South Korea. Daniels awarded David the Distinguished Hoosier Award in 2006. David’s work also hangs in the Indiana Governor’s Residence. David has also been an instructor, teaching at Herron School of Art, as well as various art centers across the United States, including Longboat Key Center for the Arts at the Ringling College of Art and Design, Vero Beach Museum of Art , Oliver Art Center, Boca Grande Art Alliance, Naples Art Association, The Center for the Arts Bonita Springs and Glen Arbor Art Association. In addition, he works to increase awareness of art, including in Indianapolis. He painted Ebb and Flow, a public mural on the exterior of a downtown Indianapolis building as part of a program of the Arts Council of Indianapolis. 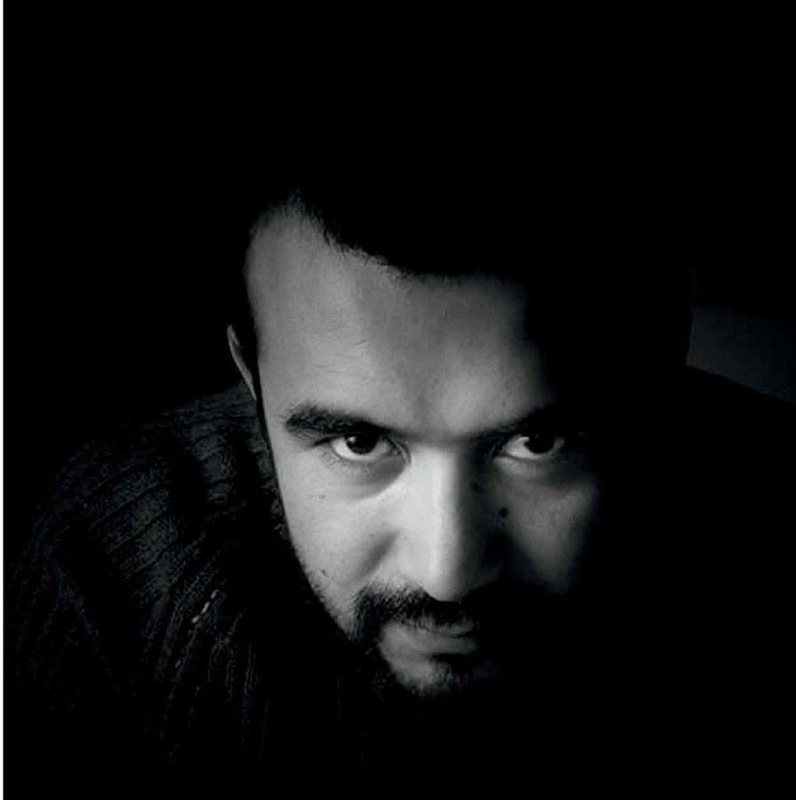 Manuel Iris (1983) holds a BA in Latin American Literature from The Autonomous University of The Yucatan, and a MA in Spanish from The New Mexico State University. He is the author of Versos robados y otros juegos (2003, 2nd Ed 2005), and Cuaderno de los sueños (National Award of Poetry Mérida, 2010). He has also published articles in academic and literary journals. Currently he is a PhD candidate in the Dept. of Romance Languages and Literatures of the University of Cincinnati. Sharon Wong, a graduate of NYU Tisch School of the Arts, is originally from the UK, and continues to teach and choreograph internationally (Barbados, Belgium, Canada, Hong Kong, Japan, Iceland). Sharon joined The Ailey School faculty in 1992, where she is currently Co-Chair of the Jazz Department and Ailey/Fordham BFA faculty advisor. Since 2006 Ms. Wong has served as Visiting Dance Professor at Hope College in Holland, Michigan . From 1998-2000 Sharon was Coordinator of the Ailey School/PPAS; from 2000-2005, Board member of Evon Arts Ltd Coming Together Performance; recipient of The Adelphi University Distinguished Faculty Excellence Award in 2005; included in Who’s Who Among America’s Teachers from 2003-2007. Presently, she is an Adjunct Dance Professor at Adelphi University. Roll was born in Presa Blanca Celaya, Guanajuato, Mexico, in 1983, moving to Grand Rapids at the age of 15. The depth and breadth of his work spans cultures and genres, with equal importance placed on honoring his Hispanic roots and embracing the language and culture in which he now lives, works,worships and raises a family. “I’m fascinated by the culture and history of Mexico, and I want to share that with the Anglo community. You can’t be a person without a past. It helps you go into the future,” he says. Starting as a child with crayon drawings and cartoons, Roli moved into acrylics on paper in 2004, soon progressing to oil on canvas, producing colorful, realistic works. Later, he began collecting scrap metal and materials from work and welding them to create modern industrial sculpture, creating pieces that are both functional and abstract, and making creative social statements. More recently, Roli has moved into painting large wall murals and etched glass installations. Attila was born in Kisvarda, Hungary. He received his early training at the National Ballet Institute in Budapest. After moving to the United States, he joined the Joffrey Ballet School. He has performed as a guest artist with Mobile Ballet, Bravo Dance, Harrisburg Ballet, Ballet Theatre of Chicago and the Joffrey Ballet of Chicago. Attila spent sixteen years as a company dancer and is currently in his sixth season as Ballet Master. As a company dancer, a few of his notable roles include The Prodigal Son in George Balanchine’s Prodigal Son, Max in Septime Webre’s Where The Wild Things Are, Charlie Chaplin in Gordon Peirce Schmidt’s Flickers, Tibalt in Mario Radacovsky’s Romeo and Juliet, and Melancholic in George Balanchine’s The Four Temperaments. 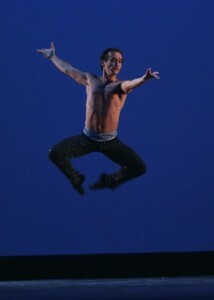 Attila became the Artistic Director of the Grand Rapids Ballet School’s Junior Company in 2011. Since becoming the Artistic Director, Attila has choreographed Snow White, Peter Pan, Beauty and the Beast, Carnival of the Animals and Mother Goose Nursery Rhymes for the Junior Company. He and his wife Mindy have one daughter and one son, Vivian and Cameron. The Kaiser Antonino Dance Ensemble was founded in 2002 by Avi Kaiser from Israel and the Italian Sergio Antonino. Since then they’ve been directing The Roof-TanzRaum in Duisburg and have been performing their productions in Germany, Italy, Poland, USA, Canada, Turkey, Austria, Israel and Belgium. Avi Kaiser (1954, Tel-Aviv) was trained at the Bat Dor school of dance and was a dancer with the Bat Sheva dance company working with, among others, Glen Tetly and Kurt Joss. He collaborated closely with Susanne Linke from 1991 and performed in her two men pieces and choreographed with her several works (p.e. Le Coq Est Mort, Senegal 1999, ICH BIN, Opéra Paris, 2005). In 2006 he created a ballet for the opera La Favorite (Donizetti) at the Opernhaus Zürich directed by Marc Minkowski. Avi Kaiser is a guest teacher with dance institutions and companies around the world: UQAM University Montreal, the Rotterdam Dance Academy, C.N.D.C., Angers, The Paolo Grassi School, Milan, Tanzhaus NRW, Dusseldorf, and with the companies J.C.Gallotta, Grenoble and Wim Vandekeybus, Tilburg. Sergio Antonino (1974, San Severo, Italy) received his dance education at the I.A.L.S. Center of Dance in Rome and at the S.P.I.D Professional School of Italian Dance in Milan. In 2001 he graduated at the Scuola d’arte Drammatica Paolo Grassi in Milan at the dance-theatre department. Besides various collaborations (among others with Cesc Gelabert, Dumb Type, Susanne Linke) he created several choreographies for theatre pieces directed by (p.e. Omaggio a Goffredo Petrassi, Teatro La Fenice, Venice, 2004). In June 2005 he presented the choreography Millimetri at the Dance-Biennale in Venice. He is artist in residence of the city of Duisburg and the Lehmbruck Museum for Contemporary Art. 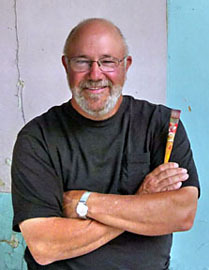 Internationally recognized artist Mark E Mehaffey is a signature member of the American Watercolor Society; Dolphin Fellow, the National Watercolor Society, Watercolor USA Honor Society, the Transparent Watercolor Society of America; Signature Life Member - Master Status, Watercolor West, the Rocky Mountain Watermedia Society, the Louisiana Watercolor Society; Signature Life Member, the International Society of Experimental Artists, Signature Life Member and the International Society of Acrylic Painters. Mehaffey has won major awards in juried exhibitions internationally including the Silver Medal of Honor (twice) and the Arches Paper Co Award from the American Watercolor Society, the Beverly Green Memorial Purchase Award from the National Watercolor Society, M. Grumbacher Gold Medal from Allied Artists of America, the Skyledge Award from TWSA, Biennial Award from the Shanghai Zhoujiajiao International Biennial Watercolor Exhibition, Best of Show from the San Diego Watercolor Society and guest artist for the Salon De L’Aquarelle 2015, Antwerp, Belgium. 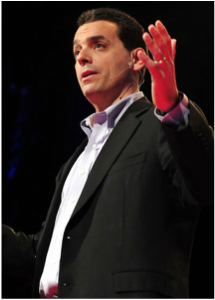 Daniel H. Pink is the author of five provocative bestselling books about business, work, and behavior. — including three long-running New York Times bestsellers, A Whole New Mind, Drive, and To Sell is Human. Dan’s books have been translated into 35 languages and have sold more than 2 million copies worldwide. He lives in Washington, DC, with his wife and their three children. A Whole New Mind: Why Right-Brainers Will Rule the Future charts the rise of right-brain thinking in modern economies and describes the six abilities individuals and organizations must master in an outsourced, automated age. A Whole New Mindwas on the New York Times bestseller list for 96 weeks over four years. It has been a Freshman Read at several U.S. colleges and universities and has been translated into 24 languages. ​His latest is To Sell is Human: The Surprising Truth About Moving Others, which uses social science, survey research, and rich stories to offer a fresh look at the art and science of sales. Joe Miller lays claim to being the most native of Boone, North Carolina of anyone. 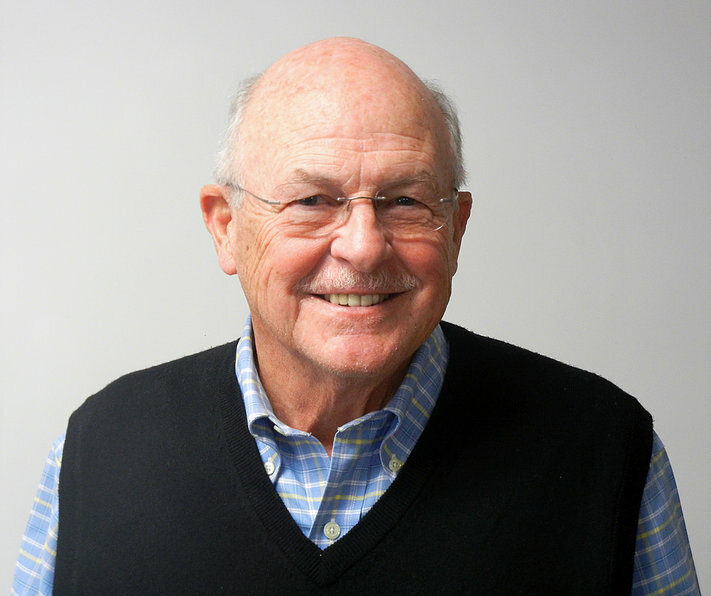 Born in an automobile in front of Boone Drug Co. in 1939, he graduated from the University of North Carolina School of Pharmacy and returned to that same drug store to practice pharmacy. For nearly 40 years, he was a pharmacist and partner in the five-store Boone Drug chain. It was in those years that he began painting and began a mail order art materials company, Cheap Joe’s Art Stuff, which would become one of the nation’s leading suppliers of art materials. An avid artist, Joe has written three books, Joe’s Journals, Old Watercolorists Never Die They Just Wet Their Sheets & One Night • Two Moons (a children's story). He has also produced several instructional videos and DVDs. He loves to fish and paint the out of doors. 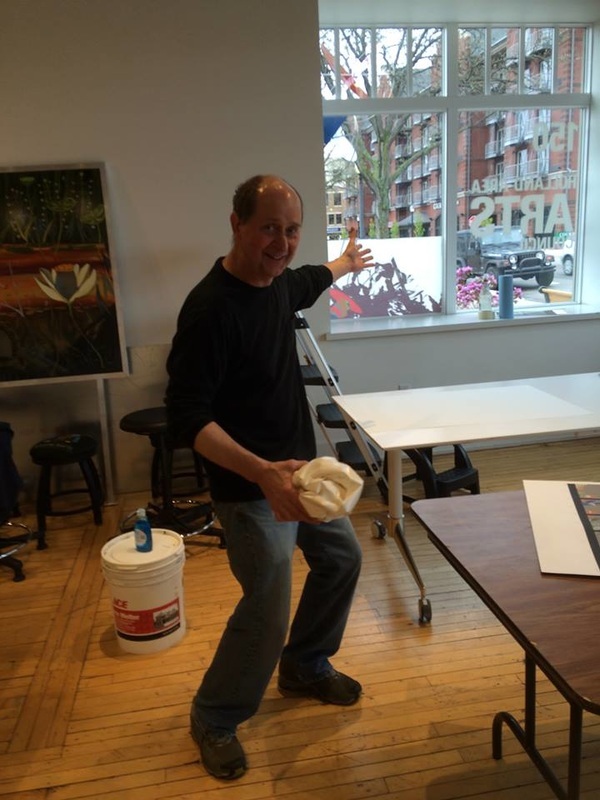 Joe is a prolific painter and his art is in numerous collections across the country. Joe has an avid interest in Vincent Van Gogh, even penning and starring in the one man show, With a Warm Handshake, a story of Vincent Van Gogh and his brother, Theo, who supported and encouraged Vincent throughout his 37 short years. Without Theo, we probably wouldn’t have Vincent’s art today. Because of Vincent and Theo’s story, Joe began a program called Brushes for Vincent, which provides art supplies to children in need or in crisis. Joyce says: " My purpose is to uplift the human spirit and my hope is that my paintings will inspire others to join me as I continue my artistic journey. I enjoy entering competitions, teaching workshops and presenting painting demonstrations". 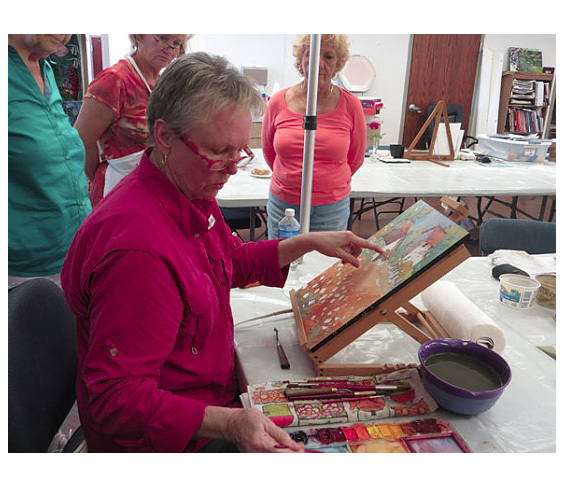 She is a member of numerous societies including Signature Member Status in the American Watercolor Society and past President of the Central Texas Watercolor Society.